Stop waiting for checks and snail mail. HoneyBook members get paid 10 days faster with our easy online payments. 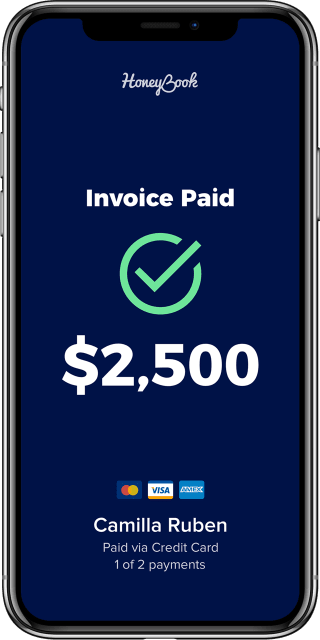 Customize from the dock, send from the boat—invoice from wherever you are.